And one of the reasons it can be so difficult to get any food is that the top supermarkets in Pyongyang, of which there are two, are only accessed by the elite (those same people who are not allowed to show off their wealth). 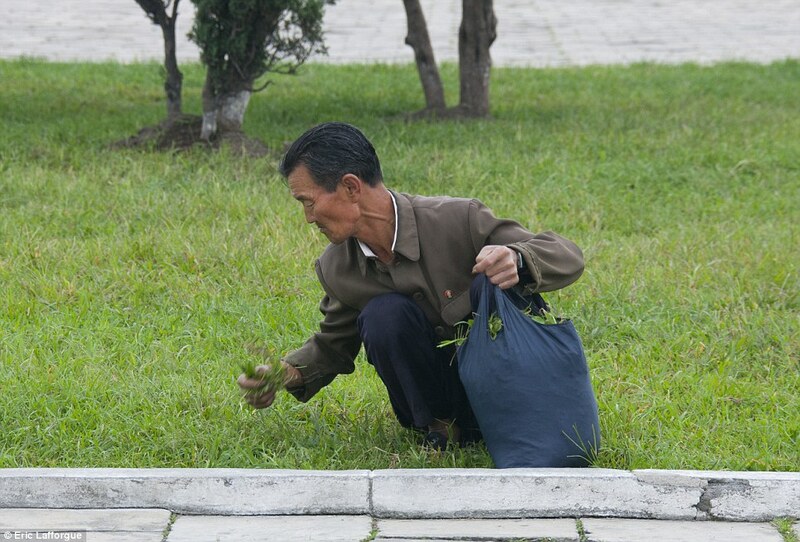 Yeah, we’re mining this whole “malnutrition” thing and pointing out that it gets so bad that, sometimes, you can see North Koreans picking fistfuls of grass to eat. North Korea likes to show off the fact that they’ve got computers, but most of the time, there’s no electricity to actually power them. We mentioned earlier that public transportation is rare. So naturally, where it is available, the lines for the bus are absolutely, ridiculously, ludicrously long. If you’re lucky enough to get on a bus, there’s a solid chance you’ll have to hop out and push when it inevitably breaks down. Most of us take a shower for granted, but it’s incredibly common in North Korea for people to need to head to the local body of water to wash up, which is something you’d never expect in the 21st century.